I was a little obsessed with Archie as a 13 year old. Ok, specifically, I was obsessed with Betty and Veronica. 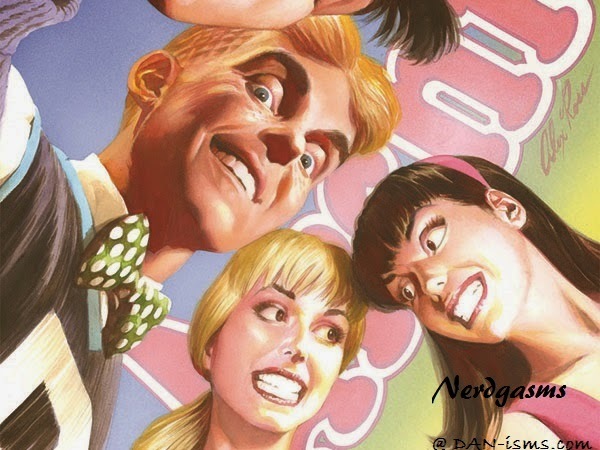 Archie could have been minced and turned into a burger and I wouldn't have blinked, so long as their were more drawings of Betty and Veronica. Well now a whole new generation of people can awkwardly fantasize about hot cartoon people. Here's what 'thefrisky.com' had to say on the upcoming show. "...there’s going to be a new live-action Archie show called “Riverdale,” written byArchie writer and Archie Comics CCO Roberto Aguirre-Sacasa and produced by Berlanti Productions, which is the production house for “Arrow,” “The Flash,” and the upcoming “Supergirl.” It’s going to be a “subversive” look at small-town life, featuring Archie, Betty, Veronica, Jughead, and Reggie, as well as other well-known Archie characters like Josie and the Pussycats. "